In the heart of downtown Memphis with three blocks of nightclubs, restaurants and retail shops, the Beale Street entertainment district is a melting pot of delta blues, jazz, rock 'n' roll, R&B and gospel. With cold beer and hot music, Beale Street is one of the coolest places in Memphis. Managed by Memphis Management Group and located in downtown Memphis, the MCCC boasts a column free Main Exhibit Hall with more than 125,000 square feet, 31 meeting rooms and an impressive 2,100 seat Cannon Center for the Performing Arts (additional 28,000 sq. foot Ballroom). Plus, the Memphis Cook Convention Center offers a 35,000 sq. foot special Exhibit Hall, parking for 750 cars and a connected 600 room Memphis Marriott Downtown hotel. Sun Studio is where Elvis Presley recorded his first song, and was the starting point for Rock 'n' Roll legends like Johnny Cash, Jerry Lee Lewis, Carl Perkins, and others. On an average annual basis, The Orpheum has presented more Broadway touring productions than any other theater in the country. In addition to bringing the finest Broadway Productions to the area, a wide array of entertainers have graced the Orpheum's stage including Cary Grant, Andy Williams, Johnny Mathis, Gladys Knight and the Pips, Kenny G, Chuck Mangione, Stacy Keach, Patti LaBelle, Robert Goulet, Dorothy Hamill, Harry Connick, Jr., Tom Jones and the Vienna Choir Boys to name a few. Two of Memphis' local arts groups, Ballet Memphis and Opera Memphis, also call The Orpheum home. The Memphis trolley makes stops near (and will take you past) notable destinations like Beale Street, National Civil Rights Museum, South Main Arts District, Mississippi River, Memphis Cook Convention Center and numerous Downtown Memphis hotels and restaurants. Dollar for dollar, there is no better way to get a nostalgic view of Downtown Memphis than by trolley. The Stax Museum of American Soul Music, located at the original site of Stax Records, pays tribute to all of the artists who recorded there with a rare and amazing collection of more than 2,000 interactive exhibits, films, artifacts, items of memorabilia, and galleries designed to keep Stax alive forever. Walk in the footsteps of the King of Rock ‘n’ Roll at Elvis’ home, Graceland. The full Graceland experience will take you from Elvis’ humble beginnings through his rise to superstardom. See how a rock ‘n’ roll legend lived and relaxed with family and friends. 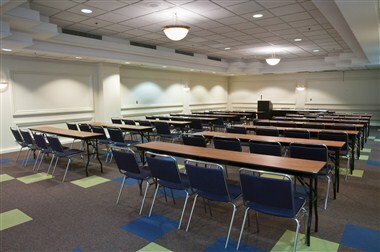 Memphis Cook Convention Center is ideally located in downtown Memphis, Tennessee. Connected to the Sheraton Memphis Downtown, the Memphis Cook Convention Center (MCCC) is the ideal venue for your next convention, industry trade show, meeting or banquet. Managed by Memphis Management Group and located in downtown Memphis, the MCCC boasts a column free Main Exhibit Hall with more than 125,000 square feet, 31 meeting rooms and an impressive 2,100 seat Cannon Center for the Performing Arts (additional 28,000 sq. foot Ballroom). 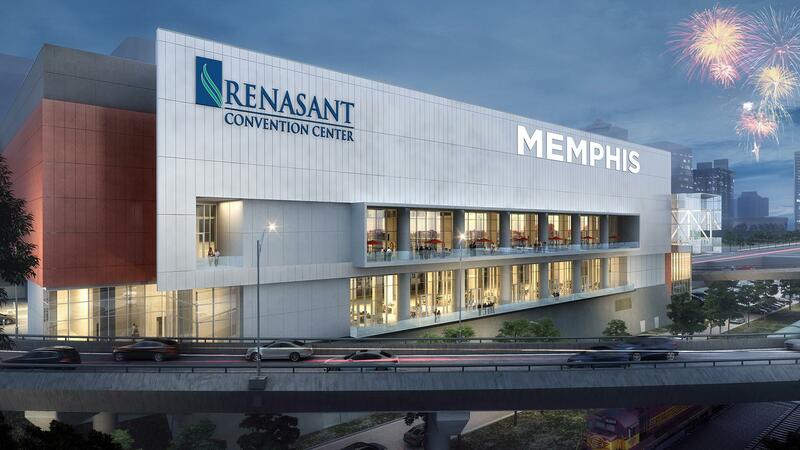 Plus, the Memphis Cook Convention Center offers a 35,000 sq. foot special Exhibit Hall, parking for 750 cars and a connected 600 room Sheraton Memphis Downtown Hotel. When planning your next event, look to the truly unique blend of amazing food, interesting sites and southern hospitality of Memphis, Tennessee.